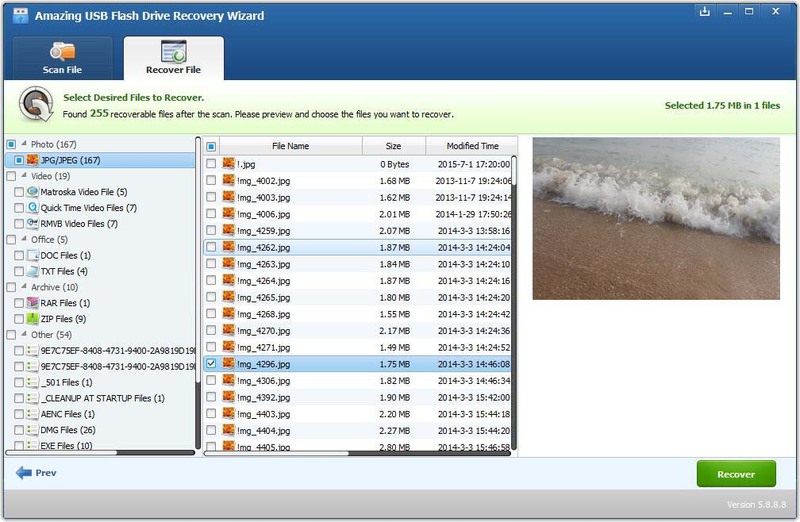 Amazing USB Flash Drive Recovery Wizard software can recover deleted documents, graphics, video, audio, Emails, archives and other files from USB Drive, Thumb Drive, Key Drive, Flash Drive, Compact Drive, Handy drive, Memory stick, Smart Drive, memory cards and other removable flash drives. All popular flash drive brands are supported including Transcend, Lexar, PQI, Ridata, Sandisk, Super Flash, Apacer, Jet flash, Sony, Corsair in all capacities. 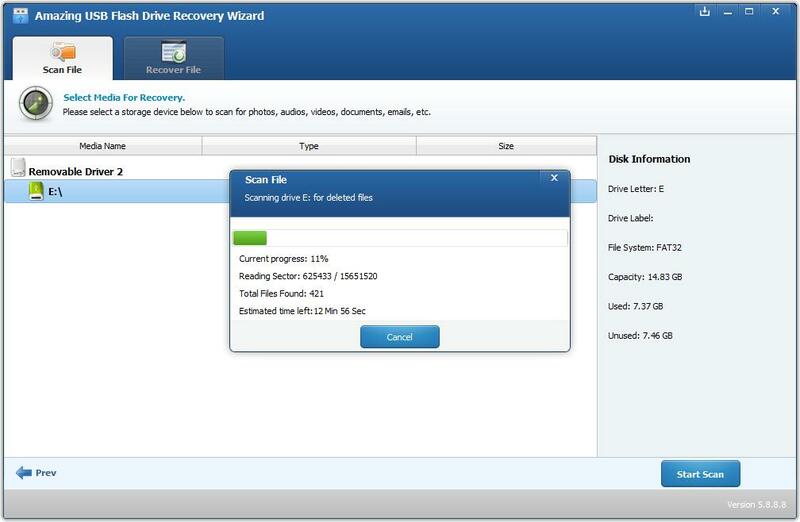 USB Flash Drive Recovery provides you comprehensive solutions for all data loss scenarios: mistakenly or carelessly delete files from USB flash drive and cannot find them in the recycle bin or trash bin, lose files when transferring them from USB flash drive to other devices for unknown reason, forget to unplug USB flash drive after computer shutting down and some files are deleted, USB flash drive suffers virus or malware attack and files get hidden or deleted, USB flash drive files become inaccessible due to unknown reasons and other different loss situations. 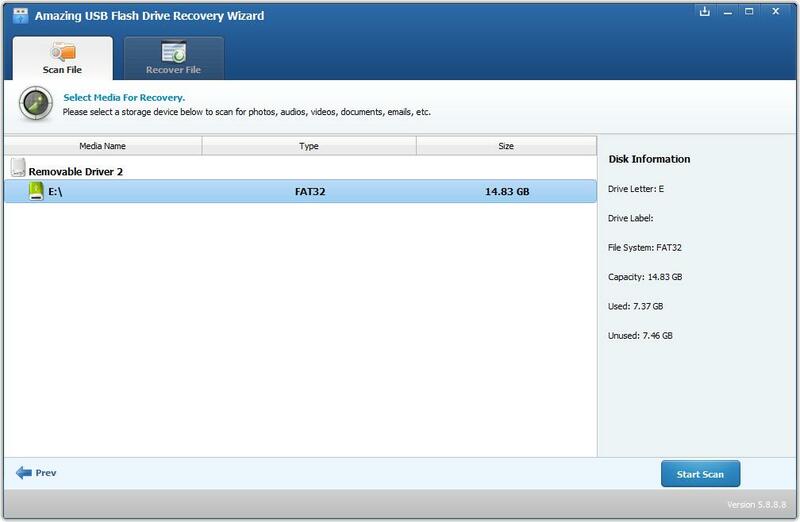 3 steps to recover corrupted, accidently deleted or lost files from a USB Flash Drive: step1, make sure your USB drive have connected to the computer and detected, and then run USB Flash Drive Recovery software on your computer; step2, choose file type you want to recover, click "Start" button and select USB flash drive; step3, click "Start Scan" to the process of scanning deleted data, after the scan, you can check all recoverable files from the scanning results, select the recovered files you want to recover and click "Recover" button to get your data back. 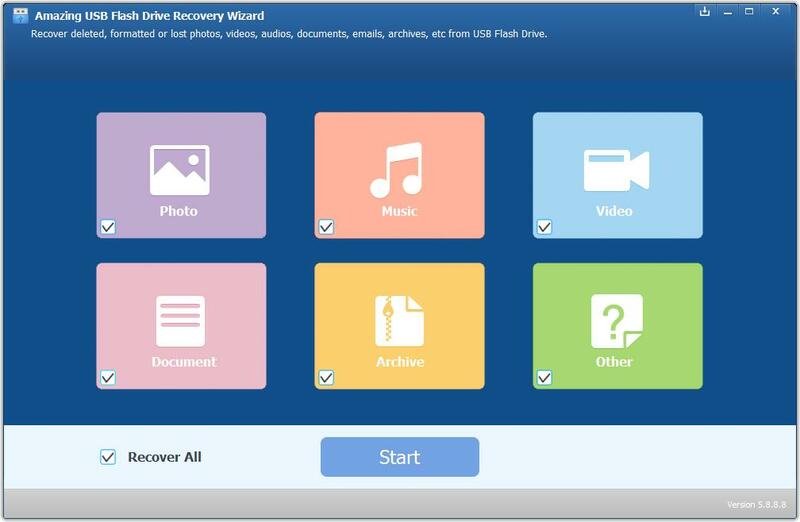 Daisy - It recovers deleted files from my USB flash drive quickly. Aimee - It is powerful USB Flash Drive Data Recovery software which can recover all my lost photos from Kingston USB flash drive.